Mathematics is a rigorous discipline with defined terms and rules. Too bad the same is not true of mathematicians. 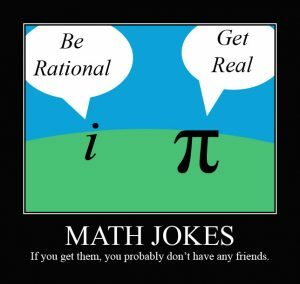 Here are a few of my favorite math jokes and puns. Post your favorite in the comments section. Are you cold? Go sit in a corner. It’s 90°! Isn’t that acute joke? A math professor is one who talks in someone else’s sleep. 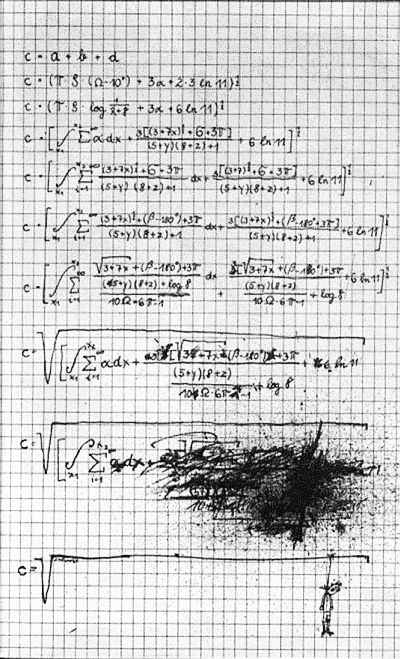 Mathematics is made of 50% formulas, 50% proofs, and 50% imagination. Mathematics is like love: a simple idea, but it can get complicated. Math and alcohol don’t mix. Please don’t drink and derive. Q: What do you get when you drink root beer in a square glass? The highest moments in the life of a mathematician are the first few moments after one has proved the result, but before they find the mistake. 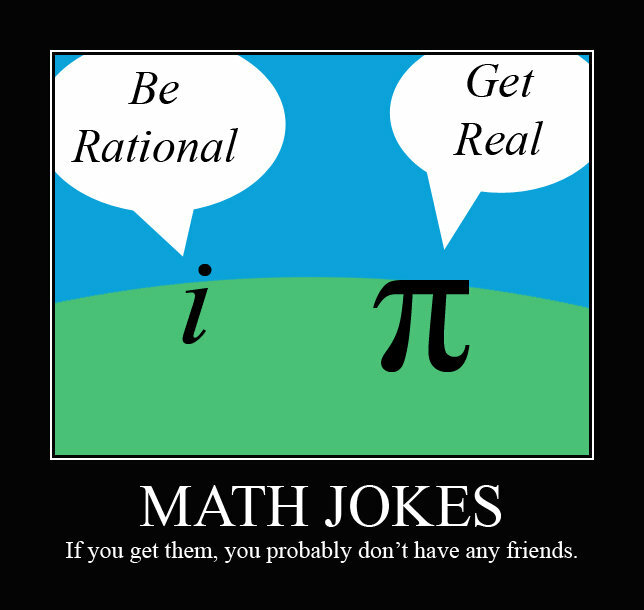 Q: Why was the mathematician sad? A: He had so many problems. The integral of d(cabin) over cabin is natural log cabin. Alternate punchline: Houseboat, you forgot the C.
Q: What do you call a dead parrot? Q: What would you call a destroyed angle? Q: Why was the math student upset when his teacher called him ‘average’? A: It was a mean thing to say. Q: Have you heard the latest statistics joke? Q: How do mathematicians nag their children? Q: What is the simplest way to solve any equation? A: Multiply both sides by zero. Q: What is the definition of a polar bear? A: A rectangular bear after a coordinate transformation. There are 10 kinds of people in the world, those who understand binary math, and those who don’t. There are three kinds of people in the world; those who can count and those who can’t. I’m so bad at math, the solution to 2n + 2n is 4n to me. Never argue with a 90º angle, it’s always right. A: Nothing, you can’t cross a vector with a scalar. The mathematician thought a bit, and replied “It is equal to π”. In Alaska, where it gets very cold, π is only 3.00. As you know, everything shrinks in the cold. They call it Eskimo π.
A1: None, it is left to the student as an exercise. A2: None. A mathematician can’t change a lightbulb, but can prove a solution exists. A3: The answer is intuitively obvious. A4: If k mathematicians can change a light bulb, and if one more simply watches them do it, then k+1 mathematicians will have changed the light bulb. Therefore, by induction, for all n in the positive integers, n mathematicians can change a light bulb. A5: Four: One to do the work, three to co-author the paper.